The "ongoing threats the bears face will now be compounded by trophy hunting and lethal removal by trigger-happy state agencies," says Andrea Santarsiere of the Center for Biological Diversity. The Trump administration announced Thursday that the Yellowstone grizzly bear population is losing its endangered species protections—a decision conservation groups say is "flawed and premature" and could make the iconic species the target of trophy hunters. CNN reports: "The bears received endangered species protection in 1975, when their population was about 136. Today, there are estimated to be 700, more than enough to meet the criteria to be removed from the endangered list, the government said." A press statement from Interior Secretary Ryan Zinke says that the "population was determined to be recovered because multiple factors indicate it is healthy and will be sustained into the future." Andrea Santarsiere, a senior attorney with the Center for Biological Diversity, doesn't see it that way. "This outrageously irresponsible decision ignores the best available science," she said. "Grizzly conservation has made significant strides, but the work to restore these beautiful bears has a long way to go." Zack Strong, and advocate for NRDC's land and wildlife program, echoes that point. Though the numbers have increased, he writes that the estimated population number represents "far too few individuals to ensure long-term genetic health. Until natural connectivity with the northern grizzly population occurs, scientific studies make clear that a minimum population of closer to 2,000 bears would be needed to maintain long-term genetic diversity." Another problem with the rule from the U.S. 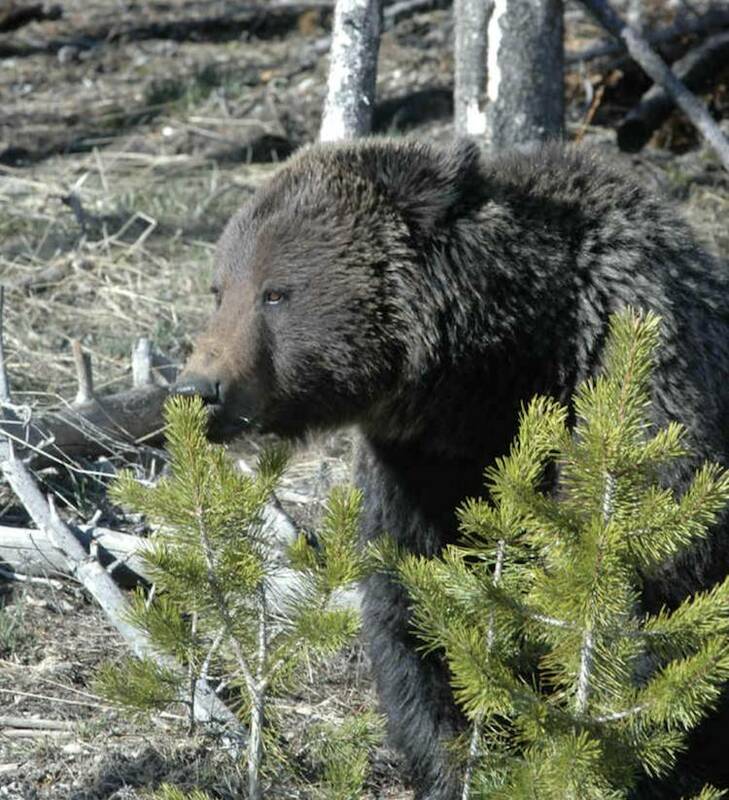 Fish and Wildlife Service, says Strong, is that it "dismisses the potential threat of climate change [... ] such as loss of food sources (like whitebark pine seeds) and shifts in denning time leading to increased conflicts with humans." And then there's the threat bears that wander out of the park's confines will face. Under current law, eliminating threatened species protection for the big bear paves the way for Montana, Idaho and Wyoming to take over responsibility from federal managers outside Yellowstone. That means fewer restrictions; states alone will make the call on dealing with nuisance bears—and will probably include a hunting season for grizzlies. Bears within the boundaries of the national park will remain a federal responsibility and will not be hunted, unless they leave Yellowstone. According to Santarsiere, that means the "ongoing threats the bears face will now be compounded by trophy hunting and lethal removal by trigger-happy state agencies." The rule will be published in the Federal Register and will take effect 30 days after that publication. It's likely to face legal challenges. "The government's campaign to remove protections provided by the Endangered Species Act overlooked important conservation issues and denied public comment on key points," said Tim Preso, and attorney with Earthjustice. "We will closely examine this decision, and are prepared to defend the grizzly if necessary," he said.